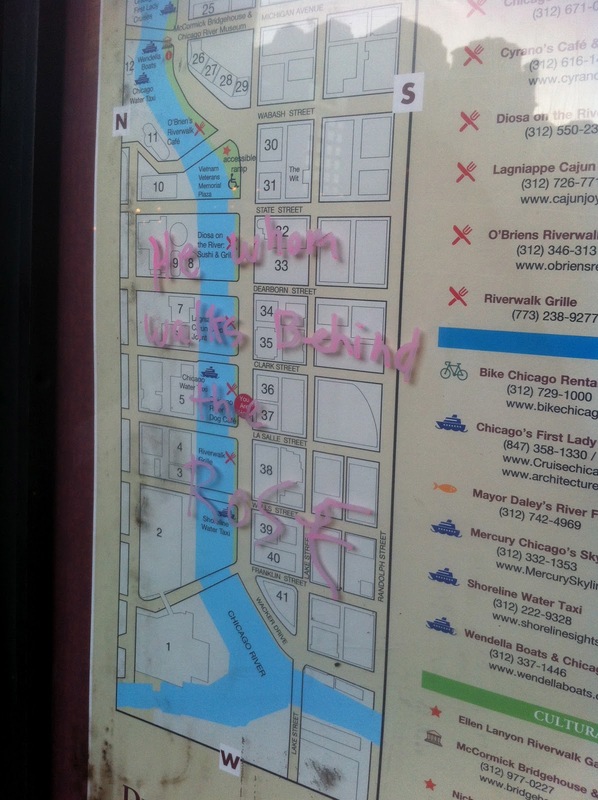 One of those mini-mysteries that pop up now and then – this odd phrase was found scrawled on the memorial sign at the Eastland Disaster site on the tour on Friday night: He whom waits behind the rose. The phrase doesn’t come up at all when typed into google. Is this a scavenger hunt clue? An odd bit of graffiti? If we’d looked at all the OTHER signs on the river walk, would we find that this was one line or a larger poem, like a Burma-Shave sign? 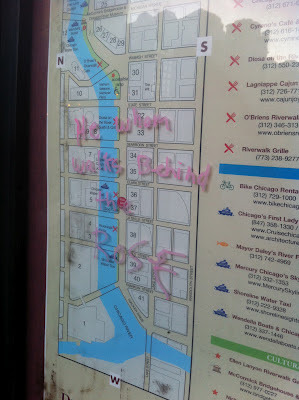 I’m always amused by cryptic vandalism. There is the movie Children of the Corn that talks about He Who Walks Behind the Rows. This may be something.